Need to hook up electric on your Athens Georgia mobile home and don't know where to start? Many electricians aren't interested in working with mobile homes because the jobs aren't big, but Meehan Electrical Services is happy to help. Although hooking up electric to mobile homes in Athens isn't rocket science, it can be tricky, and it's something best left to the professional electricians, especially if you are living in a mobile park. In addition, having electrical lines installed requires an electrician's license. Meehan Electrical Services has been helping Athens mobile homes get power hooked up and running since 1960. Call (706) 717-4947 today to schedule a convenient time for us to come out and give a quote. 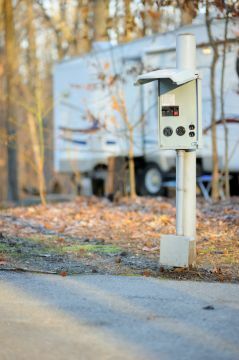 How Much Does it Cost to Hook Up Power to a Mobile Home in Athens? Prices for mobile home hook up in Athens are generally reasonable, but they do depend on a couple of things, such as the distance from your mobile home to the power source and the amount of power you require. If you are on undeveloped land, you will also have to consider the costs of installing poles and transmission lines if they are not already set up. You'll have to contact your utilities provider for the latter. Meehan Electrical Services takes pride in providing top quality electrical services in Athens manufactured home residents can afford. Call (706) 717-4947 to learn more. Meehan Electrical Services is well-versed in the special code requirements for wiring mobile homes in Athens for electricity as defined by the U.S. Department of Housing and Urban Development (HUD). When you call (706) 717-4947 to hook up your mobile home's power, you can rest assured that you are getting a licensed and insured electrician to handle the work. There are many local electricians out there, but not all understand the proper way to run electric lines to manufactured homes in Athens. When you call (706) 717-4947 for a free quote Meehan Electrical Services will get it done right!